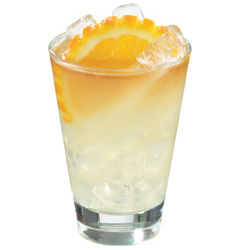 Combine whiskey and Master of Mixes Passion Fruit Daiquiri/Margarita Mix in a mixing glass filled with ice. Shake and strain over fresh ice. Fill with ginger beer and serve.